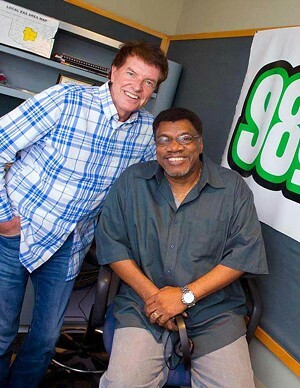 Jack Damn Elliott and Ron Damn Williams have been entertaining Oklahomans for over 15 years. They keep the radio waves alive with jokes, commentary, news and gossip reports and soap opera moments so we can stay awake and alert during our morning commute. Thats why theyve been voted the best in OKC for 13 straight years. 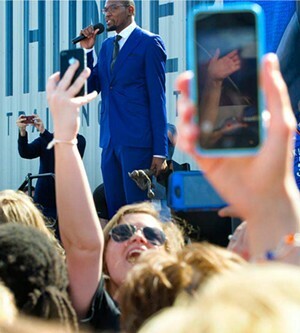 Ever wonder what superhero Thunder forward KD does when hes not killing it on the basketball court? You can follow his every move  well not his every move; that would be stalking, which is not cool. 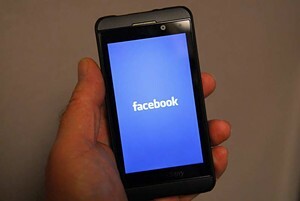 But you can follow him on Twitter and Facebook. He posts photos of Thunder summer kids camp, NBA teaser videos, information about charity basketball games, advertisement campaigns hes involved in and even fashion photos. And he frequently holds spontaneous Q&A sessions on Twitter, so you can ask him anything you want. Just try not to be weird and bother him 24/7. He has a job to do, you know. Its often informative, occasionally funny and usually borderline inappropriate, and its going to stay that way no matter what you say  luckily, OKC doesnt mind at all. 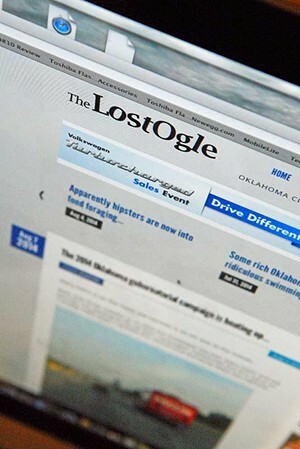 The Lost Ogle has been serving its news with a handful of satire and an entire case of irreverence since 2007. 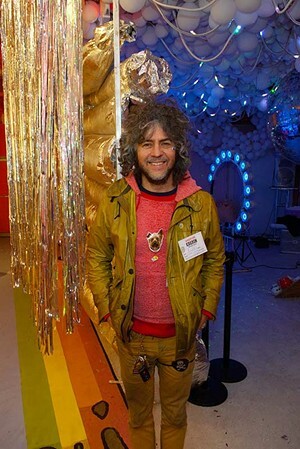 And OKC loves it as much as its co-founder and editor-in-chief claims to love his premature gray hair. 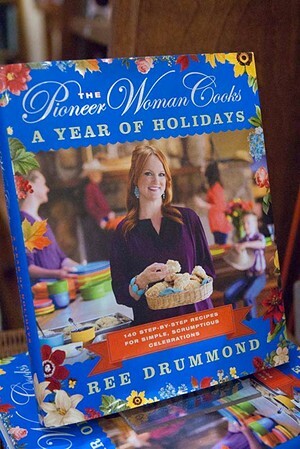 Today, most people know her as The Pioneer Woman from the Food Network. But when Ree Drummond isnt in the kitchen, showing viewers how to make delicious, no-fuss home-cooked meals, she spends her time working on her exceedingly impressive blog, where readers first fell in love with her  seriously, she should be crowned queen of blogging forever. Its full of mouthwatering recipes; remodeling and homeschooling tips; photographs of life on the ranch; and stories about her strange Basset Hound, Charlie. 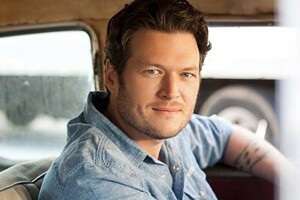 You dont have to enjoy country music to know who Blake Shelton is  hes a household name, after all  but you should join the rest of the state and be proud that hes one of our own. 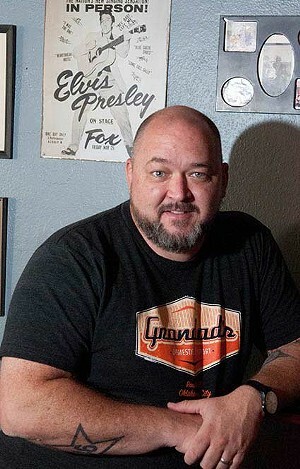 Over his 13-year career, the Ada native has had 24 hit singles on the country music charts, 11 of them reaching No. 1; has been nominated for five Grammy Awards and has won four Academy of Country Music awards. You can even see him foster young new up-and-comers as a judge on TV competitions Nashville Star, Clash of the Choirs and The Voice. Hes kind of a big deal. 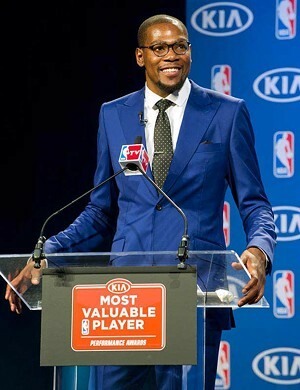 Durant has been wowing us with his superb sense of community spirit and just being a generally decent person since he moved to OKC in 2008. Thats why youve repeatedly voted him the best community leader over the past four years. After the devastating EF5 tornado that tore through Moore last year, he gave $1 million to the American Red Cross, which inspired his team and Nike to match his donation. When hes not giving to charity, hes a public spokesperson for a national after-school music program and visits terminally ill children in the hospital. Whats not to love? Do you spend your days dreaming of eating steaming clam chowder, lobster and crab cakes by the Atlantic Ocean? We do too. Luckily, we dont have to break the bank buying a plane ticket to Maine. Bruce Rinehart has us landlocked seafood lovers covered. 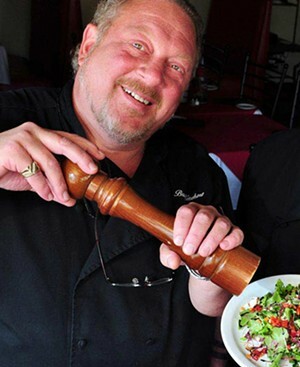 Hes the mastermind chef behind metro gem Rococo Restaurant & Fine Wine. He spends his days exercising that glorious foodie mind of his, thinking up delicious East Coast recipes we can devour by Rococos cozy fireplace. Every diner hates having to wave down his or her waitress and ask for things like water refills and silverware. A good waiter or waitress anticipates such simple needs and even anticipates those you might not have thought of yet. Ariana Khalilian, manager at Cheevers Cafe, is that sort of waitress. You dont get voted the best in OKC by being lazy. So while youre at Cheevers, indulging in Southwest comfort food, you can just relax and let her take care of you. When it comes to beer, TapWerks knows whats up. Whether you prefer your brews in ale or lager form, dark or pale  or even technically not really beer (cider)  OKCs best bartender, bar manager Samantha Morphew, can help you quench your thirst. TapWerks sells hundreds of brands both on tap and in bottles and even boasts the first fancy rare and aged beer cellar in Oklahoma. And you can rest easy knowing that Morphew is serving them up. 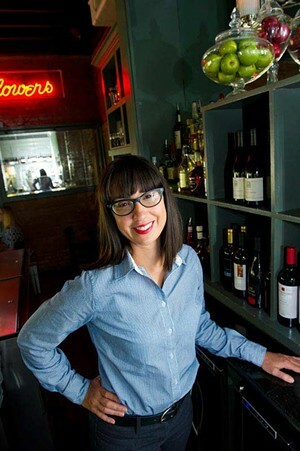 Plus, shes reclaiming her 2012 Best of OKC crown, so watch out, lesser bartenders. Greg Seal takes his grandfathers legacy seriously. Thats why he modeled his bar after the man. He also takes the comfort and security of his patrons seriously. Thats why his bar is so popular and why he was voted this years Best Business Owner. Hate isnt on tap at Grandads, Seal has said, but there is plenty of great booze, live music and fun to be found there. We also heard if you bring a framed photo of your grandfather, Seal will hang it on the wall. Thats right, the Lips are still at it and we all still love them. The biggest rock band out of the reddest state still has the vision and glory that endear them to everyone from the most common of Okies to the most polychromatic of pop stars. When they arent committing their eccentricities to video, they can be found covering the likes of the Beatles and Pink Floyd or smashing through their own hits. Look for members side projects while you wait for new music and relish in the weirdness that is Oklahoma Citys Best Local Band. Get stuck in traffic with this seamless DJ and you wont need roads because youll be dancing hard enough to fly home. 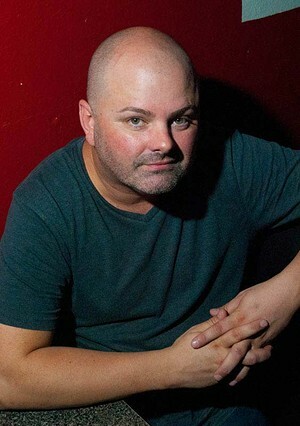 As the man that crabwalks through the Wild 405 Traffic Jam Mix on 104.9 FM, DJ Diverse lives up to his name, combining Rap, R&B, hip-hop, dance, top 40 and all points in between. Honing his craft since the seventh grade, DJ Diverse can be found dropping beats like rain and thunder all over the map. Check him out and youll see why he was voted Best DJ. With a nationally recognized theater and routine Broadway-caliber performances, this theater company has come a long way since its humble origins. It opened its first season in 1963 and has been going strong ever since. 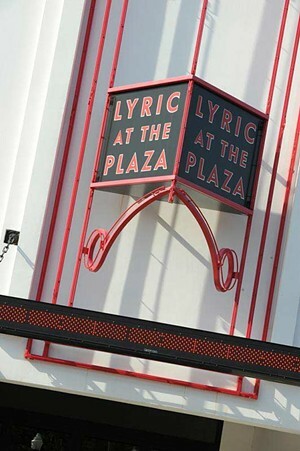 The group found its current home in the Plaza District when it opened the newly renovated Plaza Theatre in 2007, which also enabled them to extend their performance seasons to the spring and fall. Now the show goes on stronger and better than ever. With teaching opportunities like Thelma Gaylord Academy and musical groups that travel to schools, Lyric helps ensure a thriving theater future for OKC. With a reputation for the best of Oklahoma news, its not hard to imagine KFOR is once again your vote for the best. The station celebrates its 65th year in Oklahoma broadcasting and a legacy of trailblazing. It was one of the first color programs in the country and has the double distinction of hiring the first female anchor and the first female evening co-anchor. KFORs coverage is timely, thorough and full of heart. Oklahoma superwoman Linda Cavanaugh and Kevin Ogle are welcome guests in our home anytime. 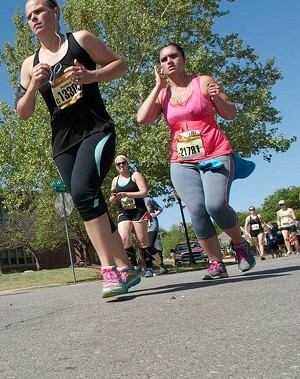 Founded in 2001, the OKC Memorial Marathon is a celebration of Oklahomas triumphant spirit in the face of tragedy. Over 25,000 runners participated in 2013s race, and thousands more cheered from the sidelines. Whether you celebrate by running or showing your love from the sidelines, the marathon continues to be the biggest event of its kind in OKC. All funds raised during the weekend of events and in marathon participation go to the Oklahoma City National Memorial. And boy, are we! 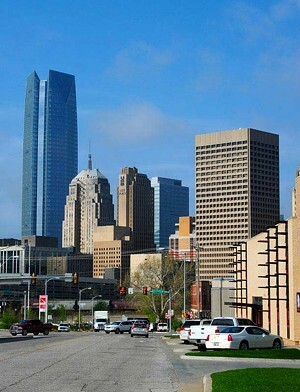 The expansion of Oklahoma City and its outlying suburbs is a joy to behold as you venture around in OKC. Remember when a trip from OKC to Norman involved driving through empty pastures? What about Yukon? That used to be a much lonelier stretch of Interstate 40. If youre new in town, grab a local and have them explain how, mere years ago, there was pasture along that highway and not much else. Heres to being a bona-fide metroplex, OKC! While other parts of the nation are emerging from the recession at a snails pace, we are thriving, and it shows. Now in its 47th year, the Festival of the Arts has become a rite of spring that draws artists and guests from all over the country. 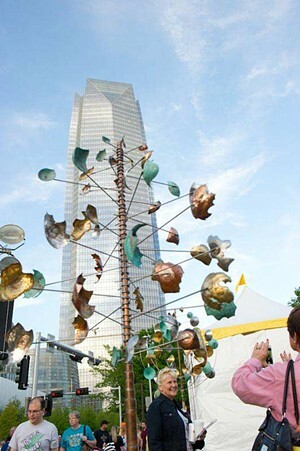 Hosted in and around the beautiful Myriad Botanical Gardens, the festival features local and national artists and musicians and legendary food items, some of which you can only get once a year. Everything in the festival, including the food, is judged and curated, meaning you only see the very best.